The Design Council’s role as the national strategic body for design was under review by the government. It was decided the Design Council would be merged with the Commission for Architecture and the Built Environment (CABE). The merger and the shift from public to private sector presented a profound challenge for the new organisation. 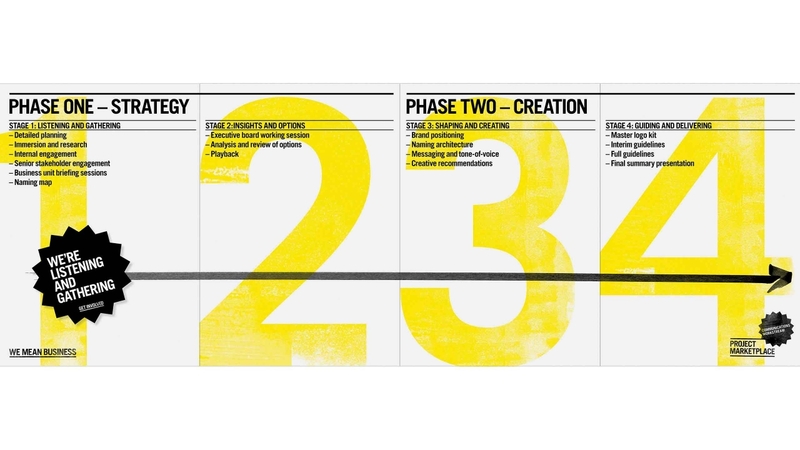 The Design Council developed a strategic business plan that set out a new mission, values and ambitious plans to commercialise and grow existing products and services. 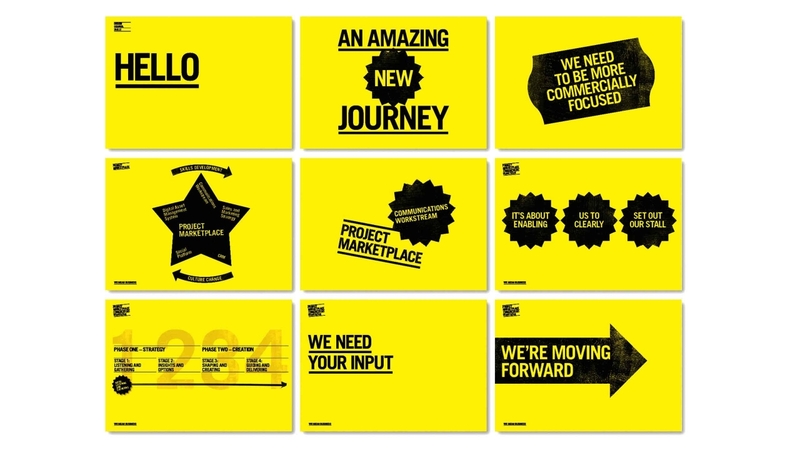 In light of a new positioning in the market place, Purpose were asked to help review and refine the new organisation brand, to support the strategic vision set out in the draft business plan. 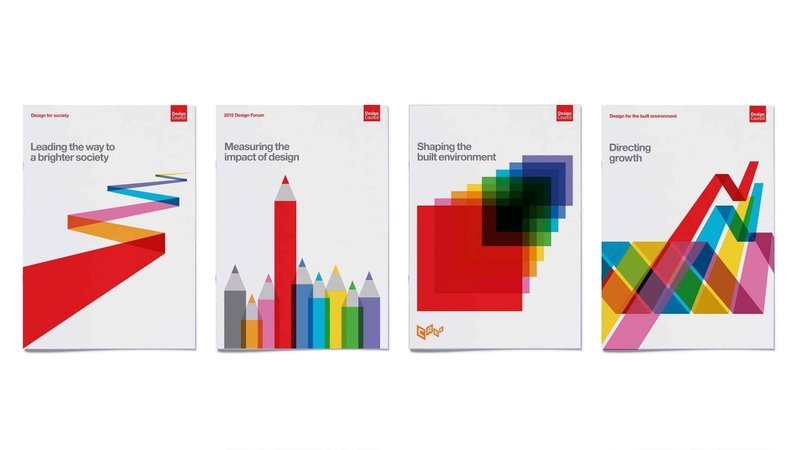 To deliver a clear articulation of what the new Design Council is and what it stands for, that would resonate with staff, clients, customers and stakeholders. To establish a distinctive and compelling positioning and a verbal and visual toolkit that would enable the organisation to go to market effectively, ready to do business in a different way. Brand review, strategy, positioning, architecture and naming. 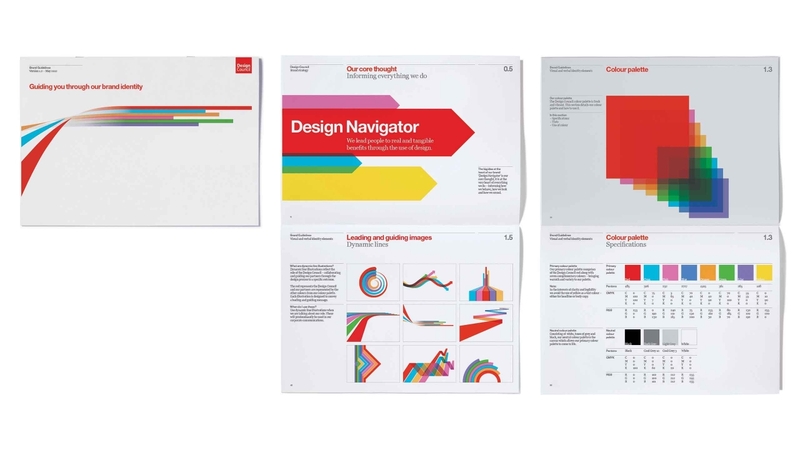 Creative recommendations, brand application and development of brand guidelines. The challenge for the savvy business is to find a design partner with the creativity, quality and depth to work at board level to support change and with marketing professionals to execute projects excellently. Purpose is that rare commodity – a perfectly strategic, creative partner. Staff inclusion is vital to the sucess of a project of this nature and internal teams need to be taken along on the journey. From the very beginning of the project we set out to ensure that all staff would feel ‘Included, informed and inspired’. A key factor in this was an internal engagement campaign which was not only a way to gather internal opinion to feed into our strategy, but a vehicle with which to inspire an internal shift in mindset. We established a name for the initiative – ‘Project Marketplace’ – this and the tonality of the campaign helped to signal the new commercial context. A distinctive ‘Design Council neutral’ look and feel for all campaign materials enabled us to punch through the mass of existing Design Council internal communications and signal change. 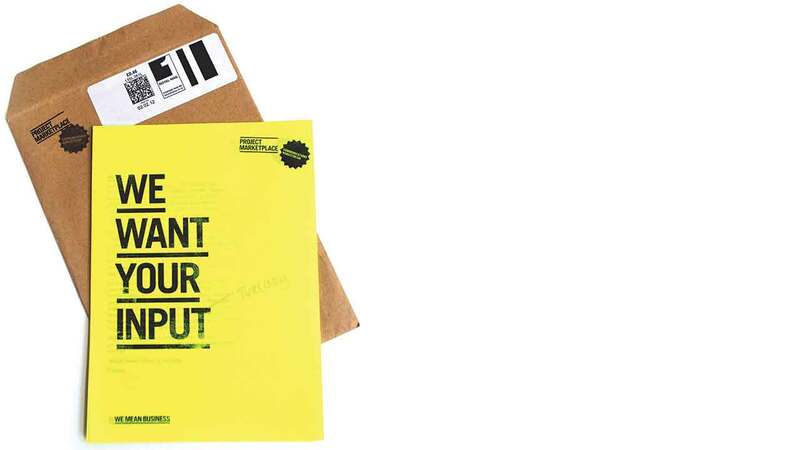 Using bright yellow paper and a ‘rubber stamp and photocopy’ approach – we created a suite of low-cost, practical internal campaign assets for use throughout the project. The campaign was launched internally at an all staff meeting. Branded opinion packs were given to all staff containing a series of easy to complete exercise sheets designed to draw out human insights. 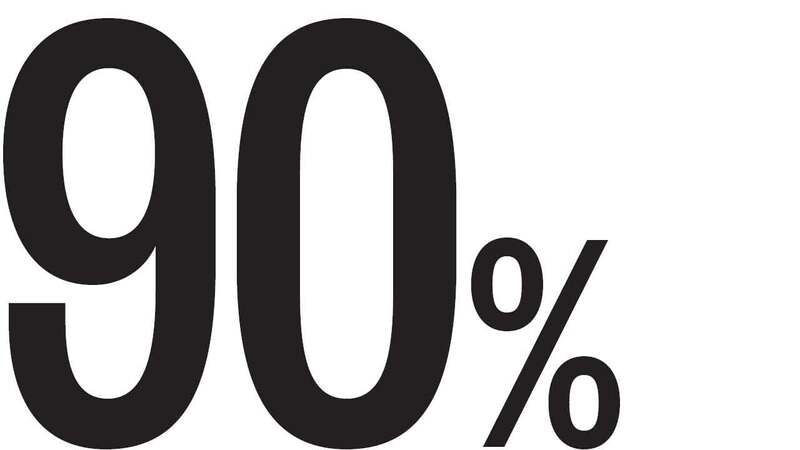 The internal campaign was a big success, with over 90% of staff participating. The insights gathered informed our brand strategy and the campaign helped to mobilise staff and begin the shift towards a more commercial focus. 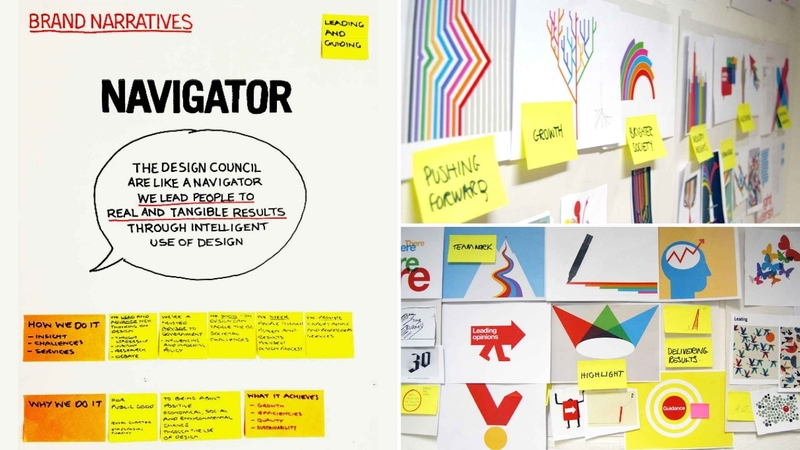 We began to establish a simple brand story – we proposed that as the ‘Design Navigator’, the Design Council would ‘lead people to the real and tangible benefits of design’. This core thought informed a new distinctive and ownable approach to imagery. 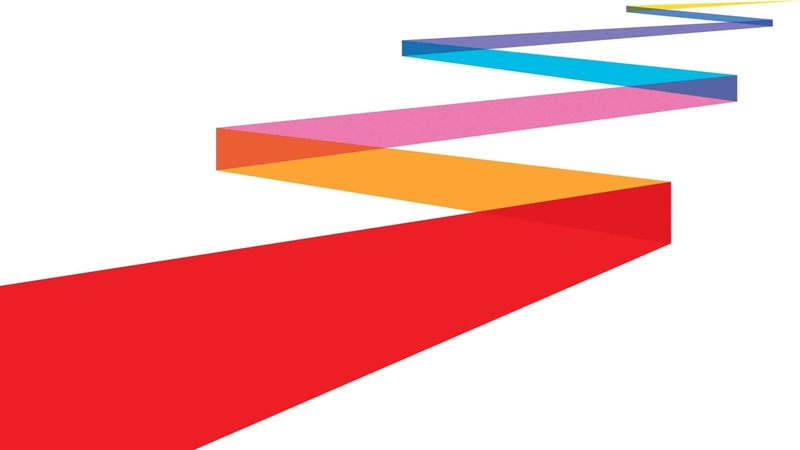 Dynamic coloured graphic lines and illustrations working with key headlines help to project a sense of the Design Council leading, guiding and supporting.